Like many Christian films, My Name is Paul begins with a random Bible verse in white text on a black background. Unlike many Christian films, it is followed by a scene where a teenager is chased down and shot in the head (albeit off-screen). The scene establishes immediately that this movie is going to be more gritty and hard-hitting than other post-apocalyptic Christian persecution movies, something that will really show the inevitable carnage in all its bloodless glory. The shooter is Paul Cambio, one of the top agents of the openly evil American government, assigned to seek and execute members of “The Way”. The Way is clearly a Christian sect, so I’m not really sure why they’re pretending otherwise with this euphemistic designation – perhaps it’s meant to attract nonbelievers to the film: just because the movie begins with a Bible quote doesn’t mean it’s a religious film… it’s just spiritual! Also, Paul’s name is some really lazy foreshadowing. It’s Spanish for “I change”, a reference to his Biblical counterpart who converted from Judaism to Christianity, in the process going from “being one of the early movement’s most ardent persecutors to being one of its most fervent supporters.” Spoiler? Paul is given a directive from Supreme Leader Torin to kill The Way’s leadership, which frankly seems like what he should have been doing all along. But then again, who am I to criticize the wisdom of Supreme Leader Torin? All hail Supreme Leader Torin! In particular, Paul is to kill a man named Peter and steal a map that he has to a salt mine; somehow access to this salt mine will ensure the evil government’s victory of this small band of rebels, although how is left unexplained. The best answer given is that salt is important because Roman soldiers were paid in salt. Uh… okay? In any case, Paul immediately goes out and finds one of the Way leadership, a man with long mane of hair and a perpetually solemn expression. His name is Stephen Marty and I just figured out the lame symbolism of his name. Paul demands to know where Peter is, but Marty won’t tell him; he says he’s spreading the Way to those who are desperate and lost (because what better time to sell them on religion than when they’ll accept any comfort at all, amirite? ), but that he forgives Paul for whatever he has to do. Paul doesn’t mince words: he shoots Marty in the forehead at point-blank range. Thus, Marty became a martyr – get it?? Clever. Real clever. God booms back, “If you know who I am, you know what I am capable of.” Setting aside the I-know-you-are-but-what-am-I level of discourse here, what IS God capable of? He’s clearly crashed Paul’s SUV and blinded him, all in an effort to get him to stop killing members of the Way and become a follower himself. Is God capable of doing this for, I dunno, everybody? Or, at the very least, could he have done it prior to Marty’s murder minutes earlier? Seems like those are two really great options. But then again, who am I to criticize the wisdom of Supreme Leader God? All hail Supreme Leader God! Following his chat with God, Paul is picked up by some members of The Way who tend to his wounds and care for him. Whether because of this compassion or because he heard the voice of God telling him to change his wicked ways, Paul has a sudden and drastic change of heart: maybe murdering people isn’t so cool after all. As an aside, it wasn’t until the credits started rolling that I realized that the voice of God was provided by Andrew Roth, the same man who plays the title character. Why? Did the filmmakers not realize how easy it would be for a viewer to conclude that the voice of God is all in his head? That by having the same actor playing both characters, it appears to be a tacit acknowledgment that Paul’s God is in fact his own conscience? Maybe the casting decision was made subconsciously. In any case, Paul now has to wrestle with his previous misdeeds, including consoling the mother of the boy he killed in the opening scene. She’s distraught not because her child was murdered, but because she’s not sure he got into Heaven. You see, he was skeptical of The Way when she last saw him, and anybody who disbelieves in God – no matter their virtues otherwise – are consigned to eternal fiery torture. Paul tells her that her son was very brave and went to his death as a believer. Shortly after bringing a smile to the face of his murder victim’s mother, Paul walks outside and the camera closes in on a flower growing through the cracks of the pavement. Wow, this movie and its inscrutable symbolism… what could that image possibly represent? It’s not long afterward that Paul is found by his government pals and taken back to home base, where it’s clear to everybody that he’s somehow different. In order to re-charge his zeal for slaughter, Paul is taken to an area he’s apparently never been before, where dozens of members of The Way are kept in an enclosure surrounded by a chain link fence. 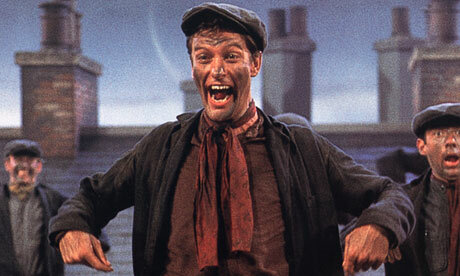 Every single one has soot all over their faces like they just got done chimney sweeping. Surprisingly, this doesn’t remind Paul how cool it is to shoot people in the face; instead, it deepens his resolve that these people need to be freed. Well, that really backfired. Paul begins preaching The Way at a train depot while the government infiltrates the compound where he’d been nursed back to health previously, killing most everybody there and smashing their computer. While wandering around near the train depot, Paul encounters a homeless man who says something quite sensible: “I hear voices too, Paul. Maybe you’re just crazy like I am.” In response, Paul grabs hold of him and exorcises him. Literally – a shadowy, black demon flies out of the homeless man’s mouth, leaving him bowing down in gratefulness at Paul’s feet. Other than all his friends being killed, things seem to be going pretty well for Paul about now. Oh… oh, no, wait. Yep, the government’s captured him again. This time, they’ve somehow found Peter and are sending our guy in to steal the map to the fabled salt mines and blow the dude away. And if Paul doesn’t follow through, he’s going to get a stern lecture! I’m just joking; I assume they’ll kill him. Paul enters the empty warehouse where Peter is just standing there and tells him what the government wants him to do. Teary-eyed, he explains that he has no choice. Peter’s not that concerned, honestly. “All of this was planned before the Foundation of the universe,” he explains. So there’s no Free Will at all, then? All of those murderous government operatives are blameless? And, sorry, I know I’m not supposed to question it, but God was planning the unceremonious slaughter of some twenty supporting characters from the Foundation of the universe? Really? Aaaaaanyway, Peter is happy to die for The Way, but Paul can’t bring himself to Snape him. So Peter finally tells Paul the twist ending: there is no map, and there are no salt mines. Rather, for followers of The Way, “we are the salt of the earth” and His Word is our map. It was a metaphor all along! And now it’s becoming clear that the writers started with this dumb twist ending, then worked their way backward from there–hence, the fact that the government’s desire to find these salt mines was incomprehensible. They didn’t need a reason to want salt, they just needed a way to get the plot to this lame metaphor. Mission accomplished! And then the movie ends, I think, because that’s the last thing I have written down in my notes. I assume the government immediately kills Paul and easily defeats this minor band of defectors. Could there realistically be a different conclusion? All hail Supreme Leader Torin!